This one is an absolute beast of a laptop and for us and any gamer, graphic designers or even video editor out there, the deal of the year. 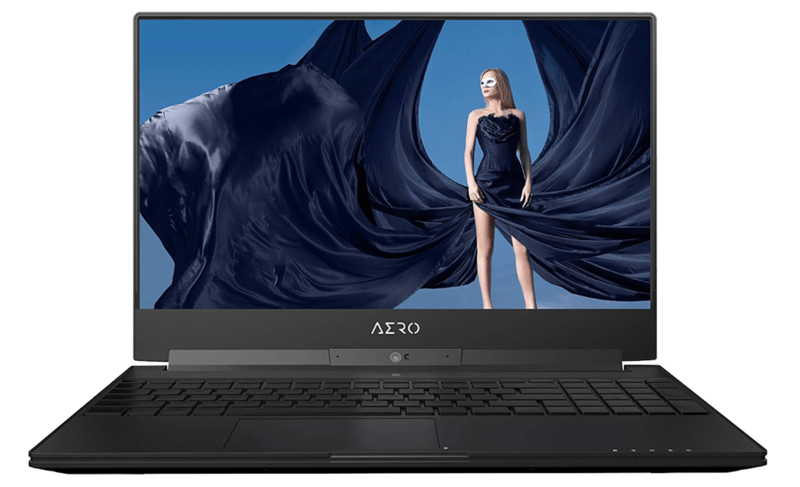 Making the Aero such a multi-purpose laptop is first, its Intel Core i7 process which in tandem with the 16GB RAM (upgradable to 32GB) creates a seamless working/gaming environment. And so you can work with multiple windows open or play even 2-3 videos without a hitch, the Aero sports an NVIDIA GeForce GTX 1070 graphics card that has a dedicated GDDR5 8GB RAM. Secondly, making it comfortable to work for 7-8 hours even at a stretch is a large 15.6-inch Full-HD screen that is coated with an anti-glare material. And adding to that comfort is a feature rarely seen in the most high-end laptops, a long battery life i.e. 10 hours no worrying about chargers or running about looking for power points. It is also extremely durable due to the metal chassis and the backlit keyboard is ever so handy in case the power is out or you can’t keep the light on. Lastly, what we love about the Aero is its portability. It weighs just 4 lbs. and has been compactly built so it fits into any backpack/daypack and can be carried even on hikes, car camping trips etc. Well, while it can cost you above $2000 on a regular day, you can grab it for less than $1900 during the Black Friday sale. Trust me, this is as cheap a high-grade laptop can be. 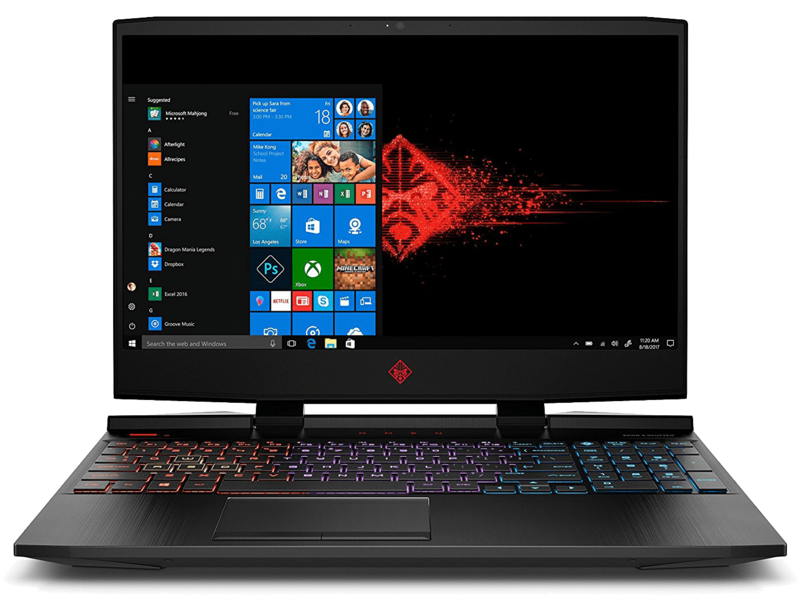 With a 6 core, Intel i7 Processor capable of ramping it up to a whopping 4.1 GHz and an NVIDIA GeForce GTX1060 Graphics Card that has a dedicated 6 GB GDDR5 RAM, this laptop provides you with the ultimate gaming experience. And to forget the 8 GB DDR4 RAM that already exists which can be upped to 32 GB if need be. Plus, to give you the best of both worlds, it comes with a 128 GB and 1TB HDD (so it works like the flash yet can store the largest of games). Then there is also the VR ready and Full-HD 15-inch crystal clear display (so you never miss out on the smallest of details). And you would think after all those long hours of PubG and Fortnite you’d have tired, red eyes but no. To protect you from that screen has an anti-glare coating. Lastly, providing the icing on the cake is the multi-colored backlit keyboard that really sets in the feel of a gaming laptop and provides you uninterrupted gaming even at night. The only issue with the laptop is its slightly lower battery life i.e. 5-6 hours but considering the features it is armed with, that’s no surprise. That aside, irrespective of whether it is black Friday sale or not, this is one gaming laptop you cannot go wrong with. Another great buy for a gamer during this festive period is the ASUS ROG and goes toe-to-toe with the OMEN on most fronts. This laptop too comes with an i7 processor but unlike the OMEN can only be amped up to 3.9 GHz (though that’s aplenty as well). 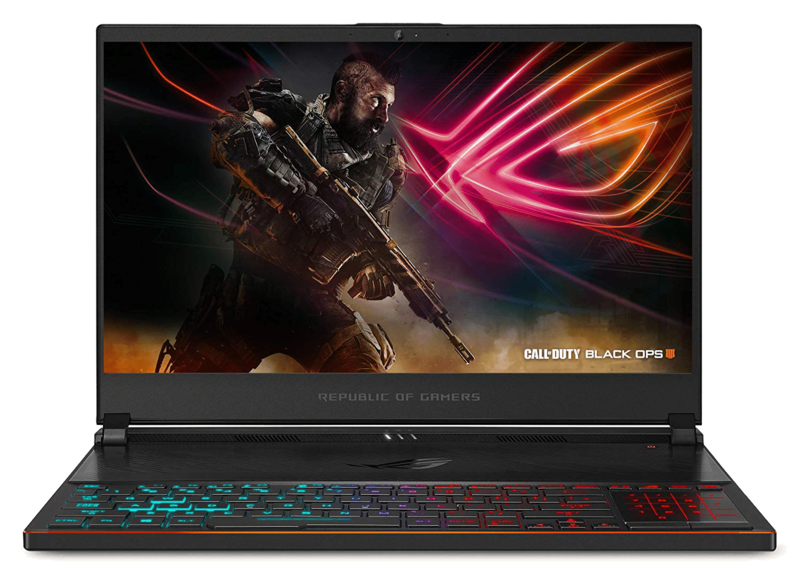 It also features an NVIDIA GeForce GTX 1070 Graphics Card with an 8GB Dedicated RAM. And to further speed things up a whole lot more, it also comes with a 16 GB RAM. Plus, you can also enjoy the benefits of an SSD with the 512 GB SSD that offers ample storage for all kinds of games. Also, don’t you just hate it when your laptop unexpectedly shuts down because of overheating? Well, not ASUS ROG. It comes with Active Aerodynamic System (AAS) and modified 12v fans that keep the system cool as a cucumber even after hours of gaming and prevents dust from settling in. Apart from that, the 15-inch Full-HD screen and 4-zone backlit keyboard add to the overall gaming experience. And lastly, another benefit that the ASUS ROG has over the OMEN is the build. Having being manufactured using military-grade magnesium alloy, this baby can even take a slight fall. The ASUS ROG also lies on the expensive side but its top of the line features means it worth those extra dollars especially if you’re a serious gamer. Plus, the screen isn’t anti-glare so you would want to get an anti-glare glasses to avoid strain. 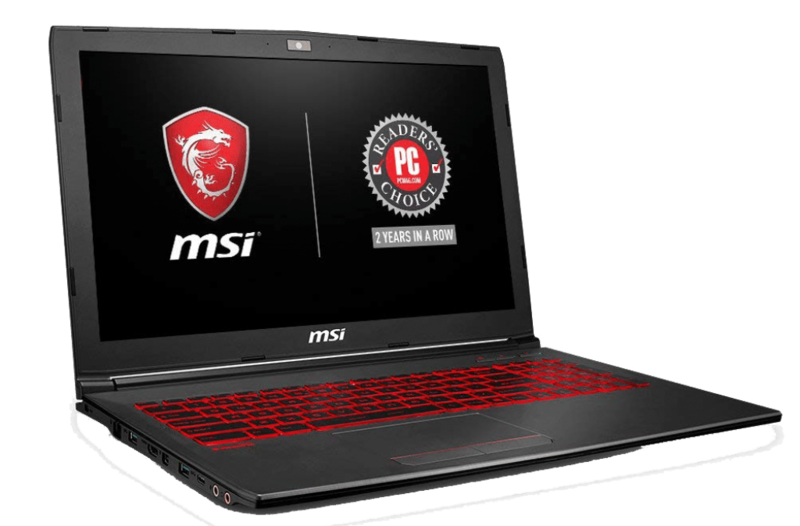 Available for under $1000, the MSI, GV62 is the deal any gamer on a budget would not want to miss out on. The i5 Processor that can go for 2.3 GHz to 4.0 GHz can handle even the latest high-tech games lime FIFA, NBA etc. This is well supported by the GeForce GTX 1050Ti that frees up memory with its dedicated 4GB GDDR5 dedicated RAM for faster load times, easy multi-tasking etc. Talking of memory, the GV62 comes with an 8GB DDR4 RAM upgradeable to 32 GB. But what really takes the cake in case of the GV62 is the 16 GB Optane memory which is even faster than SSD’s. But it’s low on space right? Well, that’s well-taken care by the 1TB HDD. And with all that power, the system has to remain cool. That’s why the laptop has been equipped with 2 cooling fans and 6 heat pipes. Lastly, it like other picks, it too features 15.6 Full-HD screens that ‘brings the games to life’ while the backlit keyboard makes gaming even at late hours a breeze. While the i5 processor performs quite well, it lacks the power of an i7 processor that the previous models come with. Also, the laptop isn’t the strongest and also has a low battery life of 2-4 hours when used at full power. If you’re looking for a Chromebook, it doesn’t get any better than the Google Pixelbook. The best part about it has to be the Google Assistant. Just say the word and you can appointments scheduled, calls made, questions answered etc. (a virtual assistant like none other). Secondly, the 10-hour battery life ensures you do not have to run around for a charger. But in case you do run out of battery, with the fast charge, it only takes a mere couple of hours to get it to optimum levels. Another standout feature of the Pixelbook is its versatility. Apart from being used as a laptop it also has a tent mode, tablet mode, and entertainment mode (there’s one for every mood). 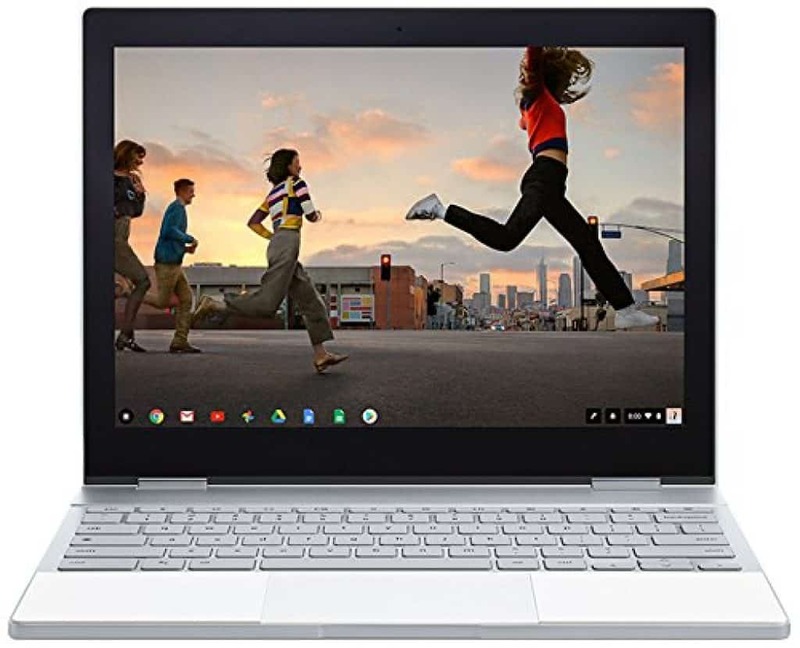 Lastly, it is also lightweight which makes carrying it around easy while the aluminum construction and Gorilla Glass make it highly durable Chromebook. This isn’t the most powerful of Pixelbooks, if you have the funds you can also go for the 512GB, i7 processor variant.